When visiting the gite, you will not be short of things to do in the Lot et Garonne. Whilst the area is quiet and tranquil with no passing traffic (except a very occasional horse on the chemin rurale!) It is situated along a lane serving just four properties, Les Lézards being the last one along the lane, lots of attractions are within a short drive. Les Lézards is about 10 minutes drive from either of two Bastide towns; Villereal which remains open throughout the year and Monflanquin which has many attractions, mainly in the summer season. Both towns have many things to commend them including markets at least once every week and small independent shops as well as supermarkets. The area is blessed with many local markets; indeed one has a choice of markets to visit every day of the week throughout the year (with extra markets during the summer season). The area is friendly towards tourists with many features only a short drive away – the popular Dordogne river is about 30 minutes away and the river Lot about the same in the opposite direction. Both of these areas have extensive tourist attractions including river based activities, castles, medieval towns, gardens, caves, swimming lakes and superb scenery. Villereal is a small town of about 1500 residents on the Dropt river at the northern edge of the Lot-et-Garonne department of Aquitaine, some 5kms south of the Dordogne department. This Bastide town was founded in 1269 by Alphonse de Poitiers. 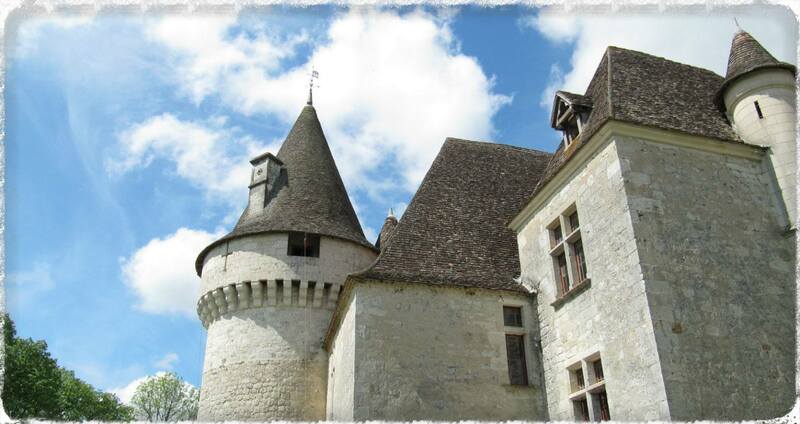 It was occupied by the English during the Hundred Years War, which finished in a major defeat for the English forces at Castillon la Bataille in 1453. Further action took place on the basis of religion, more than once by the Protestants.This resulted in much destruction including the church in 1572. During this time Villereal was surrounded by deep moats, but these now form the basis of the “ring road” around the centre of the town. Villereal is active all year round and is a very lively, attractive small town with much to interest visitors. There are many small shops, operated by individuals rather than big companies, and not just tourist shops. 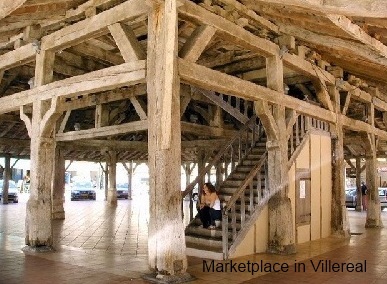 The town, like many Bastide towns, has a large central square which contains one of the most impressive features of Villereal – the 14th century market hall. This hall is used on a weekly basis for the popular market and represents the heart of the town. There is a second square containing the village church which adjoins the main square. The fortified Church of Notre Dame has an interesting history. Originally it was surrounded by a moat and reached by a drawbridge, although no traces exist now of these defences. The tower that now contains the clock was once a small prison. At the tourist office in the square it is worth picking up the leaflet “A guided walk through the Bastide”. There are lots of things to see in the side streets that you might otherwise miss such as the Leper House of which there are more details in the leaflet. The town also has all the necessary facilities such as a post office, two banks, ATM’s, petrol station, supermarkets, bakers as well as several cafés. 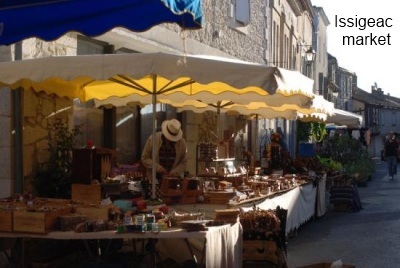 There are plenty of different things to do in the Lot et Garonne, whether you’re seeking quiet walking routes, active family days out, or shopping days, exploring the wonderful local markets. A useful leaflet available from the tourist office describes popular tourist circuits around the town, including car routes which pass through places of interest near Villereal. Some of these routes are signposted to help you find your way around the vineyards or chateaux of the area! Among the attractive medieval towns nearby worth a visit are Monpazier, Issigeac (well known for its outstanding Sunday market) and Monflanquin, and the castles of Gavaudun and Biron are also recommended. For golfers there is a golf course just 7 miles away, and another not much further away. There is also a swimming lake close by with a wonderful beach area – a great place for a day out! 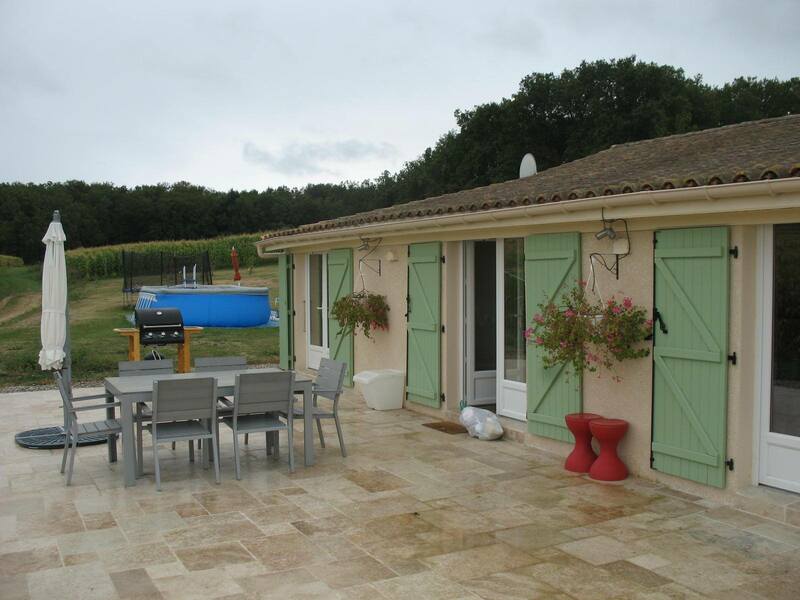 Within a 20 minute drive from the gite you can undertake all the following activities: fishing, a wine tour, outlet shopping, tennis, hiking, horse riding, walking, swimming and cycling. The nearest airport is Bergerac which is served by British Airways, Flybe and Ryanair as well as a number of other less well-known airlines. It is approximately a 40 minute drive from there to our home. 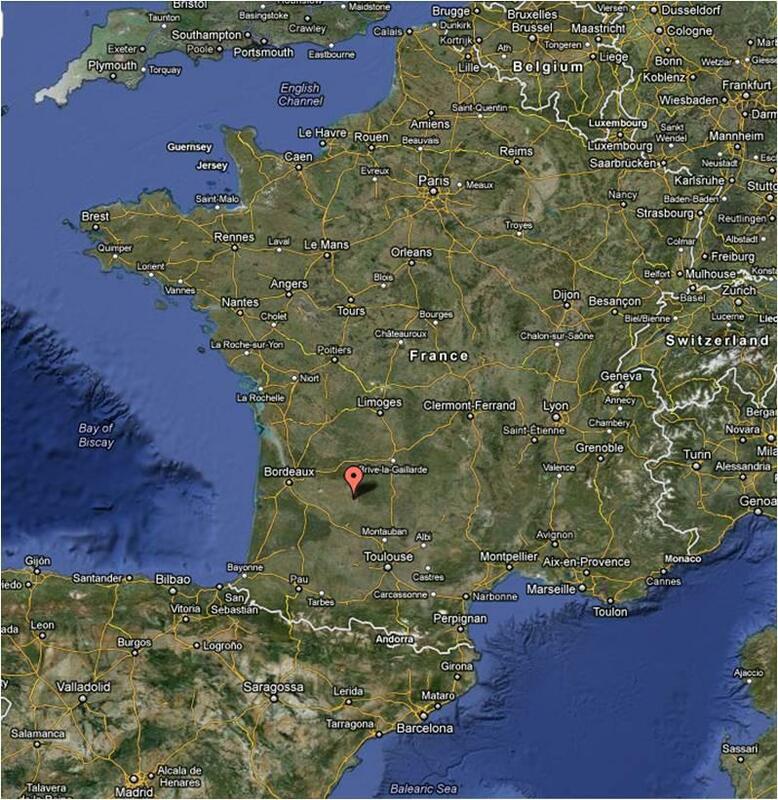 Limoges, Toulouse and Bordeaux airports are all approximately two hours drive from us. If you choose to drive to us from Britain we can offer you a discount code for your ferry booking with Brittany Ferries. Just ask us when you book and we will give you the code once your deposit has been received. It is possible to reach Bergerac by train. Take a train first to Bordeaux or Libourne and change for Bergerac. You will then need to hire a car. There are several car-hire companies in the area but the most competitively priced company we have found is Buggs from whom you can pick up a car at Bergerac airport. You will find their details at www.buggscarhire.com. Buggs will also collect and deliver from Bergerac train station.